The Mellot family arrived in Sancerre in 1513 and since that time there have been eighteen generations producing wine from father to son - and all named Alphonse! As well as this extraordinary family background, it was of course the wines, both their whites and reds, which attracted our attention. These Sancerre wines bear no comparison with the rest of the appellation. Furthermore, these are the only Sancerre wines that bear the words ""hors concours"" (unrivalled). Alphonse Senior (the 18th Alphonse) has now made way for Alphonse Junior and his daughter Emmanuelle. 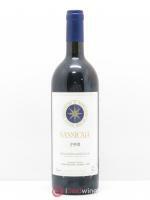 For almost ten years, the two young winemakers have been asserting their approach. The way the vines are worked is quite simply exceptional: biodynamic, without any synthetic inputs and the plants are maintained by hand. Whenever asked to talk about their work, Alphonse and Emmanuelle like to quote from the French classic Le Petit Prince: “One only understands the things that one tames”. And indeed, vintage after vintage, the two brothers and sister continue to tame their terroirs. 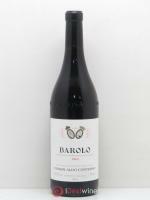 The wines are produced here with great craftsmanship, as if they were a work of art. One of the very finest Sancerre domaines - producing wines which have to be tried! 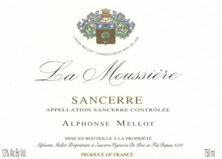 Sancerre Blanc La Moussière comes from the domain with the same name. The vineyard faces south, on "Saint Doulchard" marl which is almost unique in Sancerrois and which gives this wine its strong typicity. 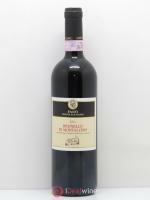 With a bouquet that is both floral and fruity, it is pure, clean, supple and lively at the same time. 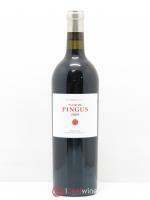 A very seductive wine.